The good, the bad, and the bizarre: Chris Hayes revisits the best Click3 clips from a very eventful year in Internet videos. Ah, the good old days! It seems like every generation longs for that time when they were young and all was right with the world. McDonald’s Japan is taking that feeling of nostalgia and cramming it into a hamburger with their freshly announced American Vintage campaign, taking us back in time with 1950′s diner fare, 1970s soul food and 1980s pop culture cuisine. Welcome to the Health and Fitness NewsWelcome to the Stars Hollow Health and Fitness News weekly diary. It will publish on Saturday afternoon and be open for discussion about health related issues including diet, exercise, health and health care issues, as well as, tips on what you can do when there is a medical emergency. Also an opportunity to share and exchange your favorite healthy recipes. I always stuff an orange or a tangerine into the toe of my son’s Christmas stocking. He is more interested in the chocolate in his stocking and I usually end up eating his orange, but I’ll never forego this European tradition that dates from a time when citrus was a rare treat. 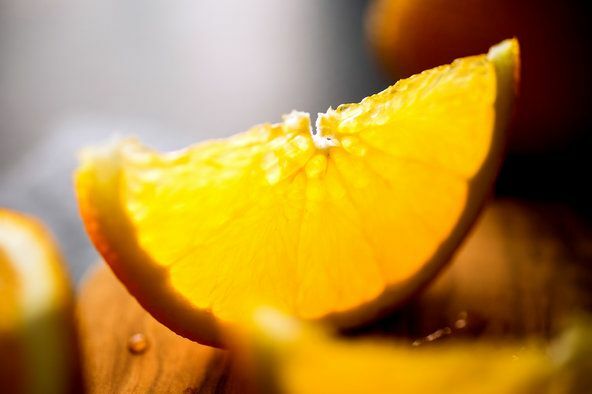 We in the United States take our oranges and grapefruit for granted year round, but citrus really does have a season – winter – and it is welcome at this time of year, when we need all the vitamin C we can get. A colorful salad with sweet and sharp flavors. A salad, modeled on a traditional North African one, that is great for buffets. An old fashioned fruit ambrosia with a gingery kick. This vinaigrette works with a variety of greens, like chard, beet greens or broccoli. Has the National Security Agency’s mass collection of Americans’ phone records actually helped to prevent terrorist attacks? No, according to the 300-page report issued this month by a panel of legal and intelligence experts appointed by President Obama. The presidential panel made many good recommendations to reform both the surveillance law and the intelligence court that rules on government surveillance requests. Congress and Mr. Obama should adopt as many of these as possible. Court rulings will not suffice to rein in an agency that continues to take advantage of the law’s vague and malleable standards. Just when you thought that momentum in the struggle to rein in the NSA was shifting in the direction of civil liberties, along comes another reminder that momentum is fleeting and the war is a long way from being won-or lost. It’s tempting to think that when the dust ultimately settles, the Supreme Court, with its awful record on such constitutional questions as campaign finance (Citizens United) and voting rights (Shelby County v. Holder), will place its stamp of approval on the surveillance state-especially since the chief justice himself appoints the members of the FISA Court that has backed the NSA. Still, as Leon’s ruling proves, the issue of NSA spying makes for strange judicial bedfellows and alliances, unexpected story lines and surprising outcomes. So stay tuned: With public opinion trending squarely against the NSA and the fate of privacy in the modern world hanging in the balance, this legal drama is just getting started. This is the season of lists: roundups and recaps, forecasts and resolutions. What was the biggest story of the year? Snowden. The splashiest pop culture moment? Twerk, Miley! Will the health care rollout roll over the president’s second-term agenda? Who’ll win in 2016? Who are the people to watch? Can Pope Francis top his 2013 cool points? I must say that as corny as it all is, I’m always entertained by it. In fact, “entertained” may be too mild a word. I’m enthralled by it, mostly because I connect with the more profound undercurrent of the moment: the idea of marking endings and beginnings, the ideas of commemoration and anticipation. For that reason, the new year has always been my favorite time of the year. America is aging, and with it ages the largest population of prisoners and former prisoners in the industrialized world. This is no longer just an issue of criminal justice. It has become an issue of elder justice and retirement security, and it is time the aging community supports this large and growing group of older Americans. All of this is good news-especially because these welcome public opinion trends are coinciding with a renewed effort by the divide-and-conquer crowd to continue manufacturing division. Indeed, as just one example, Fox News’ Megyn Kelly tried to make the “War on Christmas” meme into a full-on race war by insisting that both Santa Claus and Jesus must be depicted as white. Apparently, Rupert Murdoch’s cable television empire is still trying to turn the holiday into another excuse to promote conflict. Thankfully, polls show that the ruse isn’t working. Since 2006, the CIA has contributed “real-time intelligence” to allow Colombian forces to “hunt down” leaders from the Revolutionary Armed Forces of Colombia (FARC) and the National Liberation Army (ELN). They have transformed “less-than-accurate” 500-pound gravity bombs into precision-guided munitions (PGMs) or “smart bombs” by attaching a “$30,000 GPS guidance kit” to the gravity bombs. The use of “smart bombs” to kill rebel leaders in Colombia began before the US began to escalate “targeted killing” operations in Pakistan, Somalia and Yemen. Therefore, the decision to target rebel leaders should not be seen as one directly influenced by what the US was doing to fight known and suspected members of al Qaeda in the Middle East. That is what makes the existence of this program so alarming. As noted, the legal basis for the CIA’s involvement in the “targeted killing” of Colombian rebel leaders stems from the same dubious criteria used by the US government to argue it can launch drone strikes against “suspected al Qaeda militants” in Pakistan, Somalia or Yemen. It is influenced by the doctrine of preemptive war developed by President George W. Bush’s administration. No member of the FARC or ELN could reasonably be said to pose any immediate or imminent threat of violent attack against the US. They are fighting the Colombian government, not the US. The government cannot continue to kill FARC members (with full US support) and expect to achieve any meaningful success in negotiations for peace. Of course, the Colombian military establishment may not truly desire peace. They may want to keep on fighting FARC and the peace talks in Havana may be an avenue to further coerce revolutionary groups into submitting to the government’s power. On Apri 23, 2012, according to Nazih Richani, a professor of Latin American studies at Kean University, more than 100,000 people participated in a “Patriotic March” in Bogota, Colombia, to call for an “end to political violence, oppression and poverty” that has plagued the country.” The march was a result of organization by the National Patriotic Council, which consisted of 4,000 representatives from more than 1,700 grassroots organizations. However, General Alejandro Navas, the head of the Colombian Armed Forces, “accused the Patriotic March of being infiltrated by guerrillas.” Two retired generals also called for a coup because Santos was willing to hold peace talks with the FARC while the strength of a popular movement was increasing. The Obama administration may insist it is not continuing a policy of assassination that was supposed to have been outlawed by President Gerald Ford, but, in fact, this program continues a dirty war, which America has been fueling for decades through its actions. It is easy for Americans to look at the record of violence by guerrillas from the FARC and ELN and conclude the Colombian government is justified in bombing its leaders to crush them. It is much harder, especially if one is ignorant of history, to understand that the US has played a role in enabling violent oppression of peaceful resistance. But, history must be consulted and it should be recognized that the government bears responsibility for contributing to conditions that led to the emergence of liberation groups willing to use violence to achieve political objectives. December 28 is the 362nd day of the year (363rd in leap years) in the Gregorian calendar. There are three days remaining until the end of the year. On this day in 1895, the first commercial movie is screened in Paris. (In) 1862 and 1864, and moved to Lyon in 1870, where both attended La Martiniere, the largest technical school in Lyon. 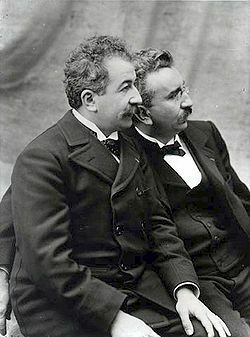 Their father, Claude-Antoine Lumière (1840-1911), ran a photographic firm and both brothers worked for him: Louis as a physicist and Auguste as a manager. Louis had made some improvements to the still-photograph process, the most notable being the dry-plate process, which was a major step towards moving images. It was not until their father retired in 1892 that the brothers began to create moving pictures. They patented a number of significant processes leading up to their film camera – most notably film perforations (originally implemented by Emile Reynaud) as a means of advancing the film through the camera and projector. 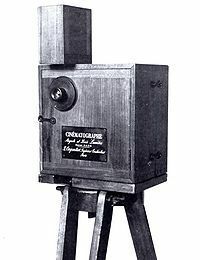 The cinèmatographe itself was patented on 13 February 1895 and the first footage ever to be recorded using it was recorded on March 19, 1895. Their first public screening of films at which admission was charged was held on December 28, 1895, at Salon Indien du Grand Cafè in Paris. This history-making presentation featured ten short films, including their first film, Sortie des Usines Lumière a Lyon (Workers Leaving the Lumière Factory). Each film is 17 meters long, which, when hand cranked through a projector, runs approximately 50 seconds.